Thank you for this blog. Rochester needs a positive voice for people to realize all that we have. I’ll really miss reading your take on things. 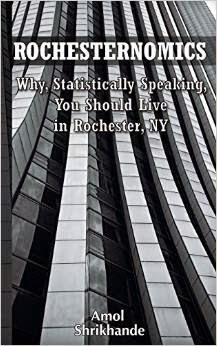 FYI, I gave Rochesternomics to my father-in-law who lives in Kentucky. Just yesterday, he put in an offer on a house and plans to move to Rochester. I’m sure you changed a lot of perceptions about this region and you helped sell at least one house! Thank you for the kind comments. I hope your father-in-law loves it here! I've enjoyed reading, thanks for posting it. I will greatly miss reading your blog too. Hopefully you keep that excitement towards Rochester. We need more positivity and recognition for the great things our city does have from those like yourself. Thank you. I definitely plan on continuing to help spread the word about our great region! I've really enjoyed reading these posts and have shared them with friends and family in the hopes of either invigorating them with more enthusiasm for our city or to break their preconceived ideas of how they view it. I'll certainly miss the updated content but hope that you continue to enjoy Rochester as much as I do and continue to support our city. Good luck! Thank you for having taken the time to read. My loyalty to Rochester is as strong as ever! Ive really enjoyed reading your page, and even bought your book because of it! Thank you for devoting your time to this site. Thank you! And thanks for having bought the book. This Article is very important for all.And many other thing i learn from your article.